Although Chapter 11 business bankruptcy is often associated with the reorganization of a struggling business, in some cases, liquidation of that business may be the most effective way for a distressed business to pay off its creditors and pull through financial crises. Denver Bankruptcy Attorney Arthur Lindquist-Kleissler is skilled at helping businesses navigate Chapter 11 liquidations to resolve their financial issues. Helping businesses obtain the best possible resolutions to their financial challenges. Reorganization will take too long or is not feasible. Creditors and/or bankruptcy courts do not approve a business’ reorganization plan. The business doesn’t have enough liquidity to cover the administrative costs of Chapter 11. The business can’t continue to operate through the course of bankruptcy. Developing a liquidation plan – This will involve laying out the specific details of how the liquidation process will be rolled out, as well as how the proceeds from the liquidation will be distributed among the business’ creditors. Once a liquidation plan is in place, it will have to be approved by the courts and creditors. Carrying out the liquidation of assets – This may involve selling all of a business’ stores and franchises, conducting store-wide going-out-of-business sales, auctioning off the business’ assets and/or selling of other corporate holdings. Concluding the liquidation process – This will usually focus on the distribution of the proceeds from the liquidation process and the finalization of the bankruptcy case. Liquidations can proceed in different manners, according to the nature of a business and its debts. 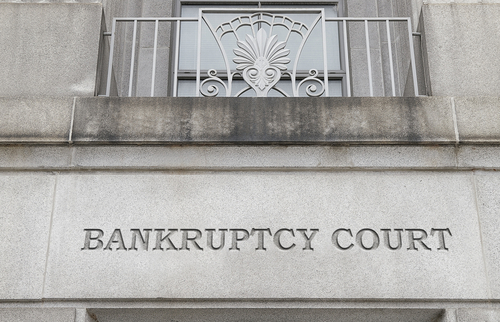 When businesses don’t have the resources to manage their own liquidations, these cases may be converted to Chapter 7 bankruptcies (in which the court will oversee the liquidation process). Having an experienced business bankruptcy attorney to represent a distressed entity is crucial to facilitating this process and achieving the best possible resolutions from it. If your business is struggling and you are wondering whether a Chapter 11 liquidation may be the most appropriate course to pursue, it’s time to contact Denver Bankruptcy Lawyer Arthur Lindquist-Kleissler. He can help corporate entities figure out the best options for resolving their financial issues, develop plans for debt relief and carry out these plans to help businesses get through their financial crises. For more than 34 years, Mr. Lindquist-Kleissler and the other legal professionals at Lindquist-Kleissler & Company, LLC have been providing businesses with the highest quality of legal services when it comes to debt relief and bankruptcy (including civil litigation matters associated with bankruptcy). From simple to complex business bankruptcy cases, Mr. Lindquist-Kleissler can always be trusted to tailor his services the individual client’s needs and to efficiently guide his clients through bankruptcy so they can resolve their financial issues as favorably and efficiently as possible. To receive a free professional case evaluation, contact us by calling (303) 691-9774, or email us using the form on this page. You will pay nothing up front to obtain trusted, professional advice regarding your case. From our office in Denver, Arthur Lindquist-Kleissler represents clients throughout the Denver Metropolitan area and Colorado, including (but not limited to) Aurora and Arapahoe County.